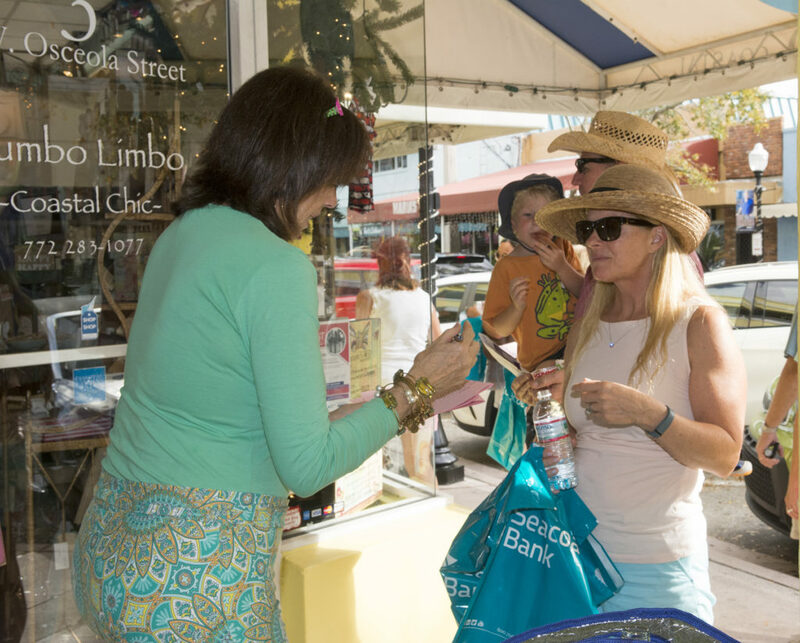 The Downtown Business Association and Stuart Main Street present the Spring Stuart Stroll, an evening of shopping, refreshments and fun on March 8 from 4:30p.m.-8:30 p.m. in Historic Downtown Stuart. During the Stuart Stroll, participants will enjoy drinks, refreshments, and free food samples as they stroll the dozens of participating shops, galleries and restaurants downtown. Five lucky shoppers will win a $100 shopping spree in Historic Downtown Stuart. Tickets for the Stuart Stroll are $15 in advance and $20 the day of the event, and only 400 tickets will be sold. Advance tickets can be purchased at Kilwin’s Chocolates & Ice Cream, Stuart Coffee Company, Gumbo Limbo Coastal Chic, Rare Earth Gallery, Harbor Wear, The Clam Shell, April Daze, and the Seacoast Bank branch location on Colorado Avenue in Stuart. The event takes place March 8 from 4:30p.m. – 8:30p.m. Registration begins at the Post Office Arcade on Osceola Street. Free shuttles are available from the Osceola, Sailfish, and Kiwanis Park parking lots. Sponsors of the Stuart Stroll include Mulligan’s Beach House Bar & Grill, Stuart Boathouse, Sneaki Tiki, Seacoast Bank, Mark Brechbilll, PLLC, Coast 101.3 and Treasure Coast Newspapers/TCPalm. For more information, visit HistoricDowntownStuart.com, StuartMainStreet.org, find Stuart Main Street and Downtown Stuart on Facebook, or call 772–286-2848.